Native American Spirit and the Annual CSUSM Pow Wow is highlighted in the cover story of the Vol. 3, No. 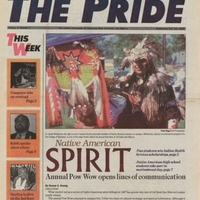 3 edition of The Pride.